They're calling it the international wildlife event of the year. And it's taking place this weekend, so here's your chance to get involved. From the 21st - 23rd August Rutland Water Nature Reserve is hosting an amazing event that brings together a wide range of conservation projects, hundreds of stalls, events, lectures, key speakers and bird fanatics from all over. Birdfair regulars Chris Packham, Nick Baker, Martin Hughes-Games and Simon King will be hosting the weekend alongside a number of other well known names. You will have the opportunity to browse exhibitions, learn from experts and listen to interesting talks. In addition, you can explore a fantastic range of stalls that sell all sorts of goodies from clothing and jewellery to arts and photography, camera equipment, binoculars and bird food! Birdfair brings together the entire birdwatching industry, allowing everyone to share ideas and learn more about their passion. But at the same time, it has an equally important role supporting global bird conservation. All through the event, BirdLife International and its partners are busy raising money for their conservation projects. Since the first project “Stop the Massacre Campaign” in 1989, almost £3,000,000 has been raised to help save birds and their habitats in Europe, Africa, Asia and South America. 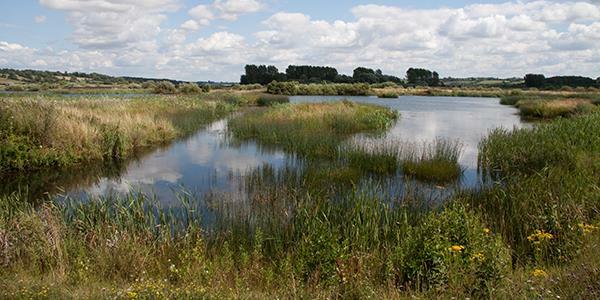 Rutland Water is a really important reserve for a range of birdlife and is home to more than 25,000 waterfowl. There is a great variety of habitats across the 1000 acre reserve, and a number of special areas to view the wildlife from. During the fair itself, staff and volunteers from Rutland Water Nature Reserve spend weeks preparing the site, getting it ready to welcome visitors to this fantastic reserve. During the days of the fair itself, they are also joined by the brilliant volunteers from The Wildlife Trust and RSPB. Rutland Water has an ongoing calendar of events and activities to keep all ages busy and interested. The Birdfair is hugely popular with visitors and has now been running for 27 years. It promises to be bigger and better than ever before, so don't miss out!